Last week I was out of town attending the Tennessee Association of Realtors annual convention in Destin,Florida. I really learned alot of helpful information that will make me a better realtor. While I was there, another realtor listed a home in Lakewood. This is a 4 bedroom 3 bath home on one acre. 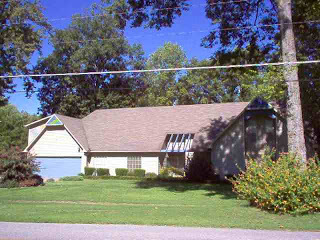 It has a 2 car garage and this home "has" lake frontage. The living room is vaulted and it has a gas fireplace. There is a storage building, deck, and wood steps w/rails leading to the waters edge. This fine home has 4294 heated sq feet and 4822 total sq feet. I believe this is the only listed lakewood home with lake frontage. The price of this home is $289,000 but if you are interested in this home, let me know and we can view it and I will perform a market analysis to tell you what this home is really worth.